I’ve always been a sucker for romance and after having visited the Italian island of Sardinia, I must say I’ve fallen in love at first sight. The island may be small, but what it lacks in size, it makes up for in the variety of its scenery, in exciting things to do and places to explore. Probably the easiest and most economical way to arrive in Sardinia is by flying into Cagliari Elmas Airport (CAG), Sardinia’s main airport, or into Olbia Costa Smeralda Airport (OLB), the closest airport to Costa Smeralda, I however, was lucky that my friend and traveling partner, Marco, arranged for our ride in his beautiful 136 ft ‘Anne Marie’ which he had docked at the harbour in Civitavecchia. We set sail a little after 10am and after a calm journey over the emerald green waters, a delicious seafood meal prepared and served by the crew and some sunbathing on the bow, we arrived at the southern coast of Sardinia right before sundown. 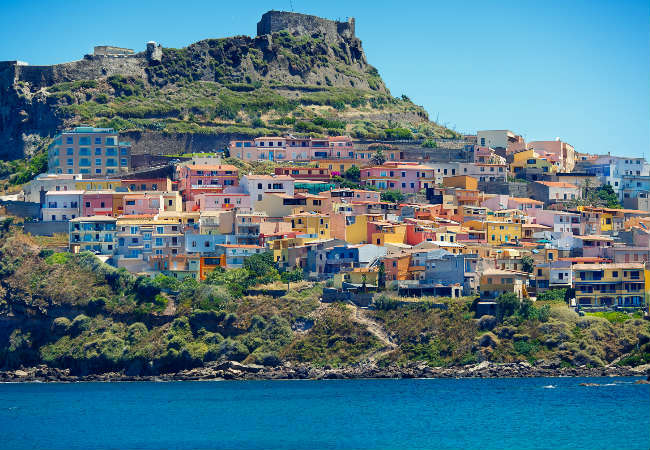 The South Sardinian Coast is located about 50 km away from Cagliari, the main town of Sardinia and close to some of the most beautiful beaches on the island. Our luxury car rental company in Italy had a dark blue Bentley Continental GTC waiting for us at the harbour the next morning, so we were ready for our first day’s adventures bright and early. Sardinia is graced by some of the most beautiful beaches I have ever seen. Secluded coves of crystal clear water are backdropped by wild, lush greenery in a demonstration of nature’s capacity to create astonishing contrasts. From the emerald green scalloped bays of Costa Smeralda, a favorite of celebs and supermodels, to the castaway Golfo di Orosei, the granite islands of La Maddalena, the dunes of Costa Verde and the silky smooth sand of Costa del Sud, Sardinia’s sand is the whitest of whites and the waters are the bluest of blues. We set our sights on Su Giudeu beach, one of the best beaches in Sardinia and a paradise for surfers, scuba divers and flamingos alike. Su Giudeu proved to be the perfect combination of fun and relaxation. I personally could have laid on a lounger on the flour-like sand, feeling the ocean breeze on my skin, the entire day, but when I saw the look on my very patient (until now) friend, I knew it was time for me to get up and do something. We grabbed our snorkeling gear and walked over a stretch of very shallow water towards a set of two rocky islands and snorkeled over the dark reef home to the octopus that gives the beach and the rocky islands their name. We had brought with us a picnic of Sardinian bread, Fiore Sardo cheese and a bottle of Vermentino white wine that the crew at the Anne Marie had packed for us, but by the time the sun began to set, we were ravenous. Marco suggested we had dinner on board, but I had heard the Forte Village Hotel, had opened the new Hell’s Kitchen restaurant, headed by the winner of the Italian version of the reality show. I had tried to make it to the restaurant during production, as part of the audience, but my schedule hadn’t allowed it. I was dying to try it, so seeing the look on my face, he happily obliged. Hell's Kitchen was every bit of heaven, from the super modern ambience, the view to the action-packed kitchen that overlooks the pool and the decadent food. It was the perfect end to a perfect day. Having spent the previous day on the coast, we decided to hit Sardinia’s hinterland. We hopped on board our Bentley convertible, lowered the top and took on the road. Sardinia is full of nuraghi, extraordinary megalithic constructions whose use is still unknown, but whose number (over 700 throughout the island), give an almost mythical feel to Sardinia. We took the road through the lush and silent interior from Cagliari and crossed over the Campidano plain, where we began to see the nuraghi appear, including the quite visible Sa Uga. We then trekked through Barumini, where the extraordinary UNESCO World Heritage declared Su Nuraxi complex is located. The majestic nuraghe is surrounded by a village assumed to have been inhabited from 1600 BC to the 3rd century AD. The following day, we signed up for an adrenaline packed tour to Cala Luna. We rented ATVs at Cala Gonone and started our trail along the extraordinarily scenic, rugged, and wild coastline that parallels the Golfo di Orosei between Cala Fuili and Cala Luna. The views of the mountain plunging to the sea are stunning and the vertiginous path is exhilarating. We stopped right above the crescent-shaped bay of Cala Luna and rappelled down to the beach below. Our hearts were pumping and the deep blue sea was perfectly refreshing. We spent a few hours relaxing on the beach before making our way back up the cliff and riding the ATVs back to the car. Dinner on board the Anne Marie and a relaxing night in the jacuzzi was nothing short of perfection after such an active day. 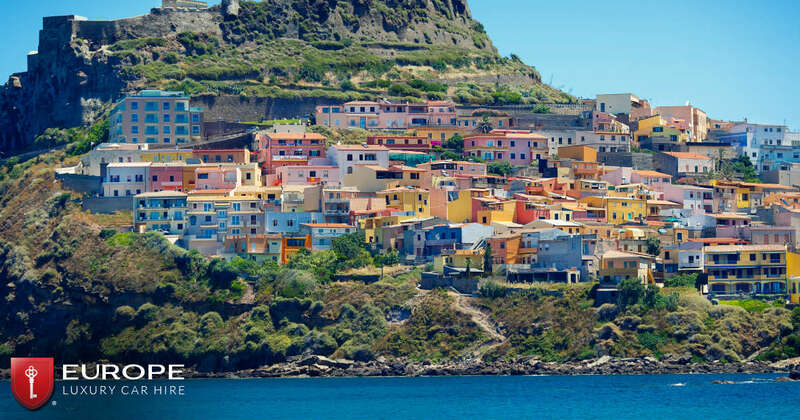 On our last day in Sardinia we circled the Italian island and headed to the northern coast. Pushing beyond Costa Smeralda, the water is so crystal clear it looks like an aquarium. We went diving near La Maddalena and the visibility was incredible. Once back on board we enjoyed a delicious lunch of fresh seafood and roasted vegetables and anchored close to Grotta di Nettuno, where we dropped a kayak in the water and rowed through the haunting, underground marine caves that boast an incredible array of illuminated stalactites and stalagmites. And just like that, the perfect trip was coming to an end. On our last night in Sardinia we docked at the Poltu Quatu marina for dinner at Tanit, a very elegant restaurant that serves gourmet fish and seafood specialties. We shared a Capriccio di mare, a mixed seafood plate for an appetizer, I had Black noodles with sea bass, mullet and lemon as a main and had a taste of Marco´s delicious Lobster Catalan. For dessert we shared a chocolate mousse and a Mille Feuille with chantilly cream and strawberries. I suppose you could say we ended our vacation in Italy on a sweet note.